Captured him before he woke up this morning! 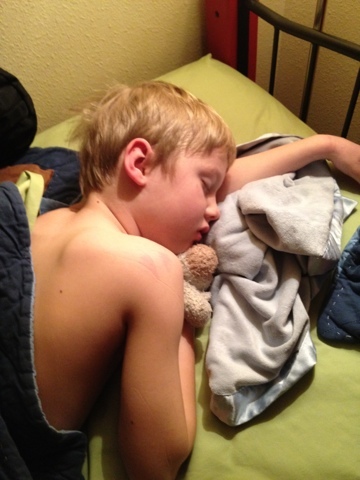 Still sleeping with his Lambie and Blanket. Look close and you can see sleep lines! When did he grow up?